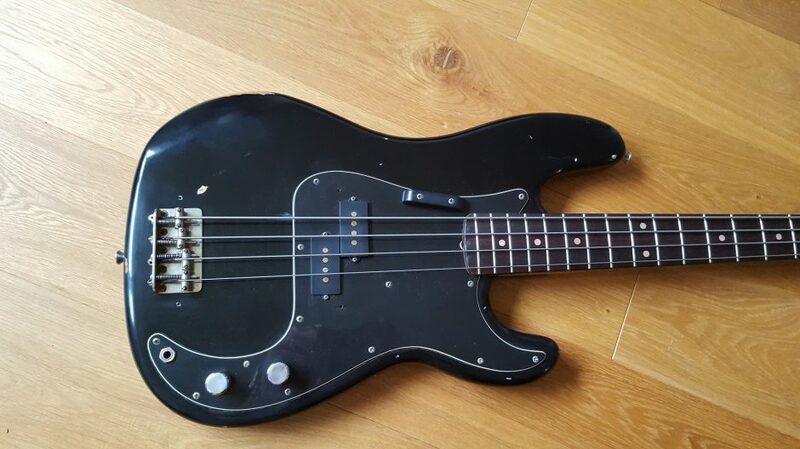 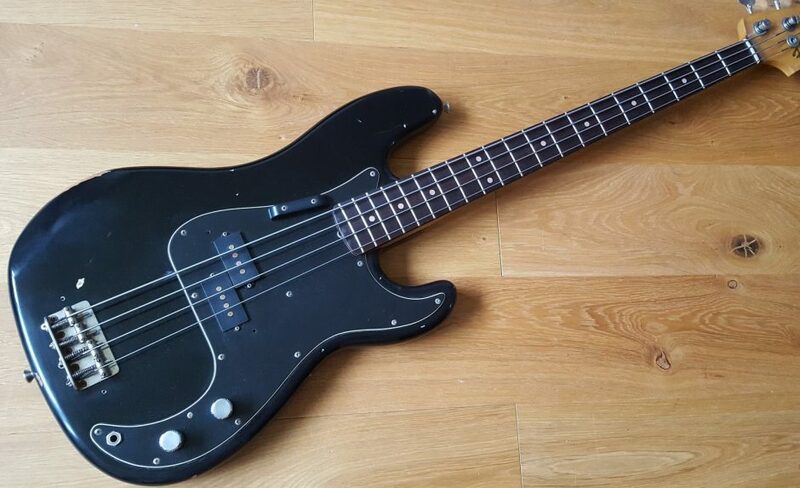 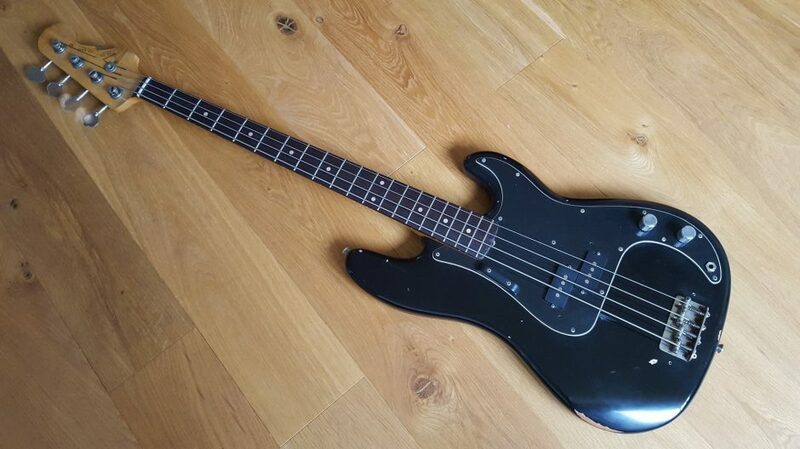 We’ve tried to create a Precision bass with a common mod in the 1970’s – fitting a Jazz neck. The neck is of early 1960’s spec with period correct logo, reverse tuners and clay dots. 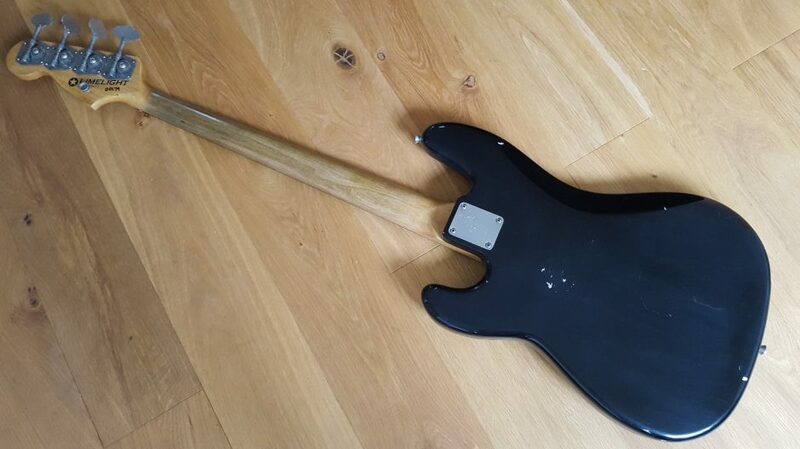 The fretboard is particularly dark and the overall effect works really well. 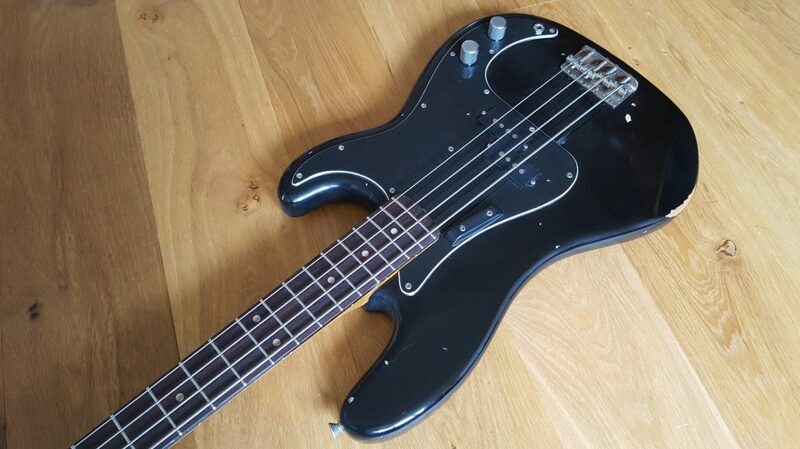 A cool understated bass with a twist. 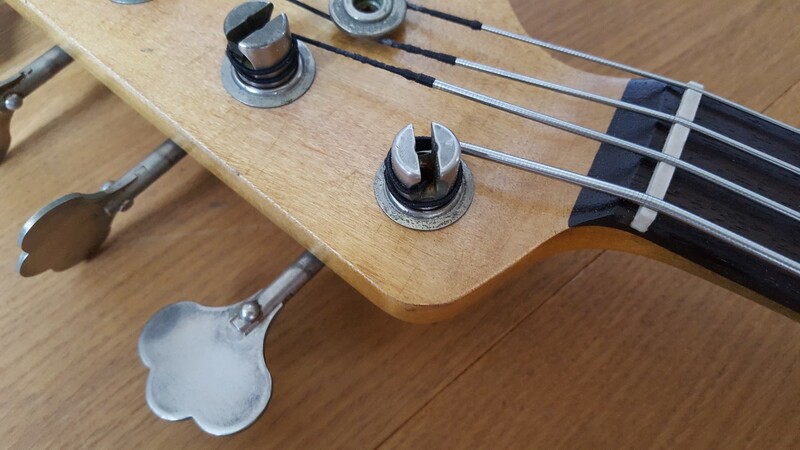 The bass has a light relic, and is currently fitted with flat wound strings for that Duck Dunn vibe but happy to put on round wounds if preferred.